It's still one of the oldest boy's favorite things to do, to hunt for mushrooms that are unusual when we take nature walks. 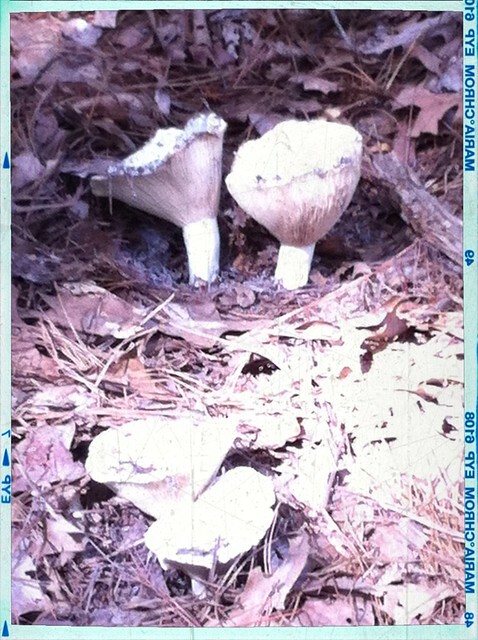 We didn't really HAVE mushrooms where we lived in Florida, or if we did there was such and abundance of insane wildlife they ate them up. So it's like a sport, spot the mushroom, as we walk through the humid canopy of Georgia pines. I don't know anything about mushrooms. 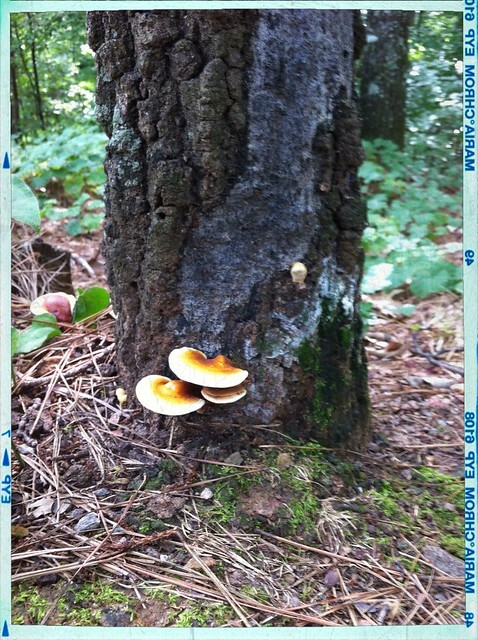 Well, I know they are a fungus. And they're fun to kick. I don't like to eat them. Hunting them to take pictures of them is probably my favorite thing too. The husband probably knows, but I don't care, as I'm not interested in eating them regardless. Ick. 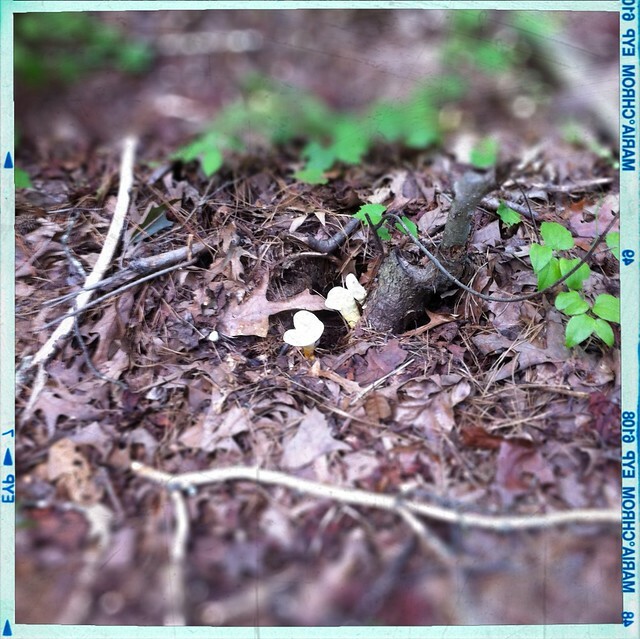 But they are sort of beautiful these weird little fungii populating the forest floor. There is a wee little frog just to the left of these two, it's so tiny you can't really see it properly. But we were excited to see it. It's the smallest frog I've ever seen. A walk through the woods was the perfect way to start the fall. First day of school, here we come.